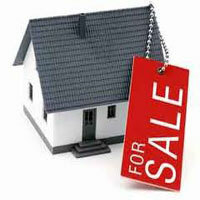 We are a prominent real estate agent, offering an array of services to the clients, based in Karnataka. Our unique Property Selling Services are highly sought after by the clients in the real estate domain. For those who are looking forward to the Sale of Residential Plot / Land in Hubli, Dharwad, and Belgaum, we are the ideal option. We value our esteemed clientele's property, time and money and ensure authentic and transparent property deals. In addition, we conduct a comprehensive search of the potential buyer's past background and sell the property only to trustworthy clients. If you are looking forward to sell your Flat & Apartment in Hubli, Dharwad, and Belgaum, then our company promises to offer you complete assistance. Besides, we offer our unique Property Selling Services at leading market rates.